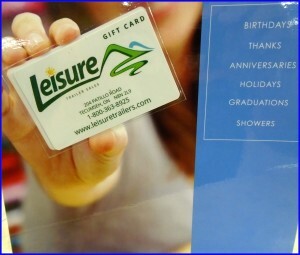 Leisure Gift Cards – Buy $25 and we’ll give you $30! From now until December 18th, when you buy a $25 Leisure Gift Card, we’ll make it $30!!! It’s the gift for every occasion – and perfect for Christmas!